Curtis Stokes was born in Lewes, Delaware and grew up in nearby Rehoboth Beach, Delaware and St. Michael’s, MD until he moved to Fort Lauderdale, Florida. Curtis grew up on the water and around boats through many years of fishing and hunting with his father and brothers throughout the Mid-Atlantic area. Curtis also spent countless hours fishing the East Coast and Bahamas on several well-known sportfishing boats. See the Fort Lauderdale, Florida Office page. While attending Washington College, in Chestertown, Maryland, Curtis decided to obtain his real estate license and joined his father’s real estate firm, Anderson-Stokes Realtors. 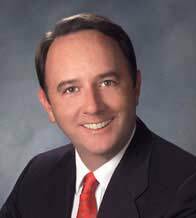 Curtis became president of the firm after his father’s death and led the company through its expansion to 20 offices and expanded the publicly traded company into insurance, advertising and development. The company was sold and Curtis decided to pursue his real love of the water and made yachting his career. 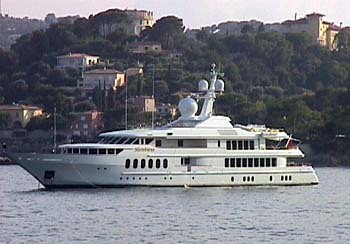 Curtis’ yachting career includes everything from a 75′ Trumpy to a 180′ Feadship. He has been associated with and enjoyed worldwide cruising on such well known vessels as EXCELLENCE, FIFFANELLA, OUR TOY, MOECCA, RENEGADE, KISSES and HUNTRESS. Curtis also gained experience as sales manager at Hatteras Yachts, in New Bern, NC, where he helped develop and sell new models and train and coordinate his dealer network. Curtis left Hatteras Yachts after Brunswick Corp. bought the company to pursue his ultimate goal of being an independent yacht broker. Curtis now enjoys working as a team with his wife, Gill, associated with Curtis Stokes and Associates based in Fort Lauderdale, FL. Curtis holds an active USCG 3000 ton Master license and a PADI Divemaster certificate. He is also a former Emergency Medical Technician, firefighter and CPR instructor. Curtis is an active member of the Professional Yachtsmen’s Association, Superyacht Society, Coastal Conservation Association, Billfish Foundation, International Gamefish Association, and Duck’s Unlimited. 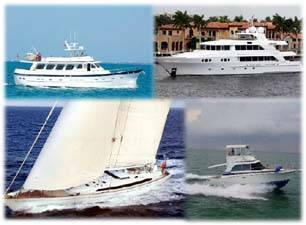 Curtis earned the Certified Professional Yacht Broker (CPYB) designation and is a member of the Florida Yacht Broker Association, Northwest Yacht Broker Association and the Yacht Broker Association of America. My honest approach to the “business” side of yachting sets me apart from other brokers. Please feel free to CONTACT ME at Curtis Stokes and Associates and start that relationship of quality service, advice, and support, which will continue long after buying or selling your yacht. Curtis Stokes can be reached at curtis@curtisstokes.net or Cel (954) 684-0218.
fair winds and safe seas.